Alisa Freedman is an Associate Professor of Japanese Literature and Film at University of Oregon. 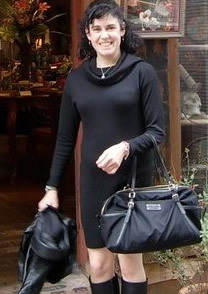 Her major publications include Tokyo in Transit: Japanese Culture on the Rails and Road (Stanford University Press, 2010), an annotated translation of Kawabata Yasunari’s The Scarlet Gang of Asakusa (University of California Press, 2005), and a co-edited volume on Modern Girls on the Go: Gender, Mobility, and Labor in Japan (Stanford University Press, 2012). She's also authored articles on Japanese modernism, youth culture, media discourses on new social groups, television images of working women, and intersections of literature and digital media. Her current projects include a book on the global politics of Sesame Street and changing images of Japanese women on television dramas. She has taught a range of courses on the globalization of Japanese popular culture.